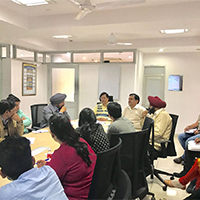 Who can be a TP under the Scheme A 4-stage transparent appraisal process has been designed and an Empowered Committee [EC] has been costitiuted that convenes for project approvals. We review each application independently, with a focus on the readiness of the partner and the best interests of candidates and employers. 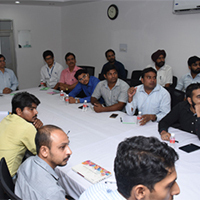 We look for alignment of values and beliefs, financial and proposed project merits, relevant skilling and placement experiences, team and capacity of the team, transparency and accountability and the readiness to implement the project as key criteria. Based on these, automatic scores are awarded which determine the rating, investment and the extent of investment. The first step in putting together a project lies in identifying which job-roles or courses would you like to offer.We'd like you to identify and administer training for trade-specific skills [you can look-up the NCVT roles/ SSCs] to meet industry demand. Coming from rural India, our youth require some additional inputs to prove themselves and retain jobs. 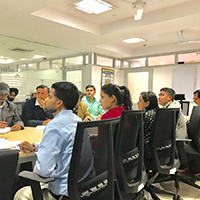 This calls for training in soft skills, functional English and computer education (basic IT skills) in addition to training for domain skills. These are essential ingredients that we believe, will enable our candidates to work and grow in their jobs. Our training partners are also welcome to propose and submit multiple projects with multiple trades or job-roles. Each project, however is identified to a State. Multi state projects are not accepted. However, a training partner can propose multiple projects in multiple states in keeping with their business plans and infrastructure or investment capacity. Together, we want to transform rural poor youth into an economically independent and globally relevant workforce. Together, we are committed to manifesting this transformation and moving people from poverty to productivity and prosperity. Ready to become a training partner? Register for PRN with Ministry of Rural Development and prepare to apply for projects. After receiving the PRN, process to fill the Project Application Form through the online portal, MRIGS. The form will provide complete guidance on how to fill it and on all supporting documentary evidences. Our investment is on the basis of three different project sizes as highlighted below: In case of multiple projects, each project will be limited as above, while the relationship with the PIA can be scaled as needed or possible. All processes of investment decisions, programme management and monitoring tasks are completed by Technical Support Agencies (TSAs) on behalf of the Ministry of Rural Development. The TSAs are independent entities with adequate resources and past experiences of managing large skilling projects in rural India. They also play a crucial role in capacity building of partners. If you want to know more, you can enrol into an Orientation Program held by our TSAs. 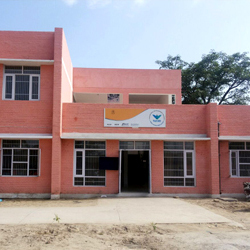 Project funding and investment pattern At present, National Institute of Rural Development & Panchayati Raj (NIRD&PR) and NABARD Consultants (NABCons) serve as our Technical Support Agencies. However Some States including Punjab have their own staff as Technical Support. If you are between 15 and 35 years of age, and have the commitment and discipline to work hard and change your life, you are welcome. Anyone who has completed even a little bit of schooling is welcome. If you are unemployed or work as labour in fields, you are welcome. If you earn a daily wage doing odd jobs, you are welcome. If you belong to a family where at least one person has worked for 15 days in the MGNREGA scheme in the last year, you are welcome. If you belong to a family where one person belongs to a Self-Help Group (SHG), you are welcome. Older than 35 years, there is a relaxation for women, persons with disabilities, victims of human trafficking and other vulnerable groups. If you belong to any of these groups, you are welcome. You just need to be willing to step forward and work hard every day to change your life. You need to attend classes every day. You need to complete all your tasks & assignments every day. Whichever way you choose, we will reach out to you, visit you in your home, talk to you, your parents, friends and others. We will then take you to the nearby training centre and be with you till such time that you enrol. Completely free skill training at the Training Centre. There are no fees. There are no registration charges. There are no examination or certification charges. There are no placement charges. Completely free food and accommodation in a residential training program. Reimbursement of to & fro and meal cost, transferred directly to your bank account. Free uniform, books and learning material. 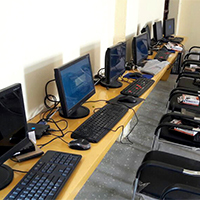 Free access to a computer at the computer lab with working internet, one computer per person. Free access to a tablet PC at the training centre to use and learn. DDU-GKY Skill Training Certificate from NCVT or SSC upon successful completion of the training program. Rs. 4,500/- one time for travel to or from the placement to or from your home, directly transferred to your bank account. Rs. 5,000/- per month Stipend for 12 months from start of job directly transferred to your bank account. This will be paid only when your employer submits proof that you are working in the job. After 12 months of successful training, a job with a minimum salary of Rs. 10,000/- per month. You could also be placed in a foreign job, with a minimum salary of US$500 per month (Rs. 30,000/- approximately).